On Sept. 20, Northrop Grumman successfully conducted the first static test fire of its new Graphite Epoxy Motor (GEM), the GEM 63, at its Promontory, Utah, test area. The rocket motor fired for 110 seconds, allowing engineers to gather data needed to qualify the newest addition to the GEM family. Northrop Grumman’s GEM 63 motor fires for its first qualification test at the company’s Promontory, Utah, test site. This fourth generation GEM motor is being developed by Northrop Grumman for use on United Launch Alliance’s (ULA) Atlas V launch vehicle. The GEM 63 motor will be used as a direct replacement of the previous strap-on boosters on the Atlas V rocket beginning in July 2019. 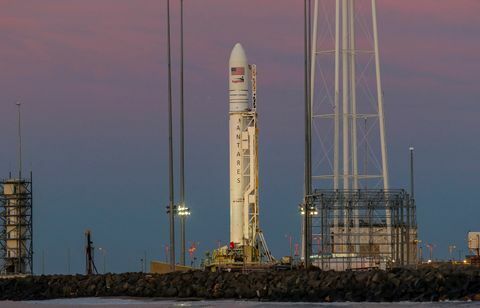 Northrop Grumman reached this static test milestone in three years - record time for such a complex drop-in solution to an existing launch vehicle. The first GEM 63 case being placed into a casting pit at Northrop Grumman’s Bacchus plant in Utah. At 65 feet long, the GEM 63 is the longest single-case solid rocket motor ever built by the company. 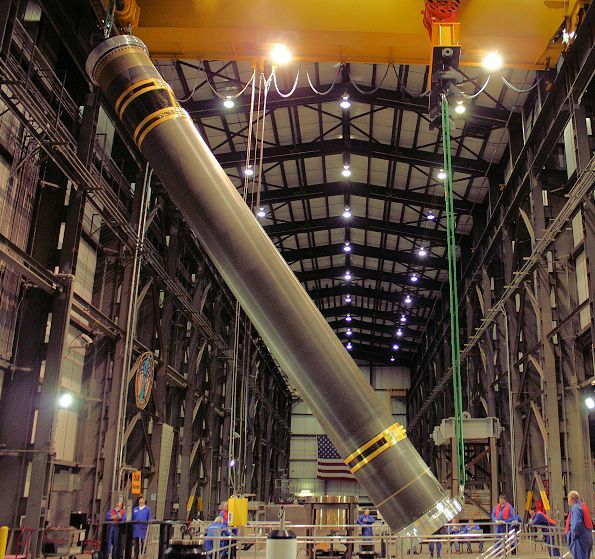 The 63-inch diameter booster capitalizes on existing designs, common materials and low cost manufacturing processes developed on Northrop Grumman’s previous GEM, Orion and CASTOR® motors. At 65 feet long, the GEM 63 is the longest single-case solid rocket motor Northrop Grumman has ever built. The successful completion of the GEM 63 static test enables full production to begin. Northrop Grumman’s first GEM was the GEM 40. Nine GEM 40 motors helped boost the first 7000-series Delta II rocket in 1990, and this month, the 132nd – and final – Delta II launched, ending the 28-year, 1,003-motor GEM 40 era. Northrop Grumman’s second generation GEM motor was the GEM 46, of which 54 motors flew on six successful Delta II-Heavy launches. The third generation GEM motor was the GEM 60, of which 62 motors have flown on 25 successful Delta IV launches. Northrop Grumman’s new GEM 63 motor builds on this extensive flight history. 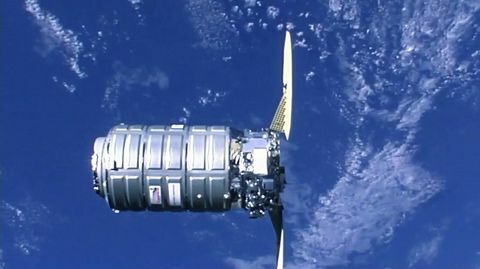 The GEM 63s will fly for the first time on an Atlas V beginning in the late summer of 2019. Each Atlas V mission may include up to five GEM 63 strap-on boosters depending on the mission needs. 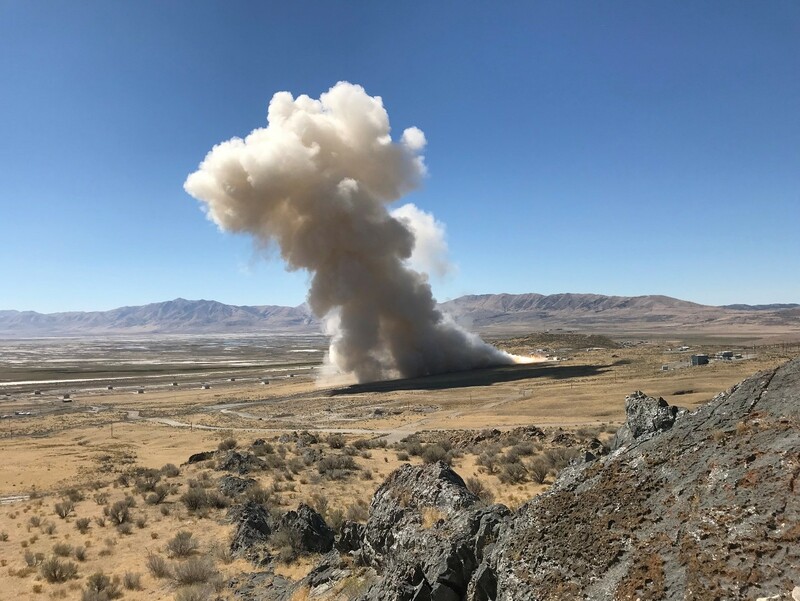 The second GEM 63 static fire test, scheduled for December, will satisfy additional requirements for certification of the rocket motor by the U.S. Air Force. In addition to the new GEM 63, Northrop Grumman is using internal funding to develop the GEM 63XL (XL for extended length) for use on ULA’s Vulcan rocket. At 72 feet long, the GEM 63XL will be the longest single-case solid rocket motor ever built. The first GEM 63XL case has already been wound at Northrop Grumman’s new winding facility in Clearfield, Utah, where a team of engineering, quality, operations and facilities team members worked through many challenges to bring a lengthened and upgraded winding machine online. The first GEM 63XL in-process at Northrop Grumman’s new Clearfield composite case winding facility. At 72 feet long, the GEM 63XL will be the longest single-case solid rocket motor ever built. 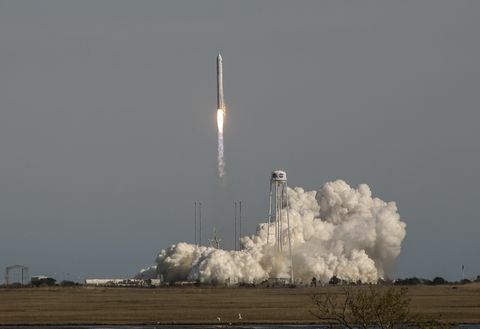 The GEM 63 line of motors is a continuation of Northrop Grumman’s heritage of innovation that leads toward the reliability and affordability that ULA and the Air Force have learned to expect. With the impressive display of power shown on the test stand in Utah, Northrop Grumman is on track to give ULA vehicles a solid boost far into the future.